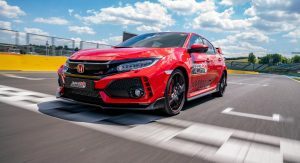 Honda has completed its Type R Challenge 2018 with a record lap around the Hungaroring racetrack set by former Formula One World Champion and current NSX Super GT driver, Jenson Button. 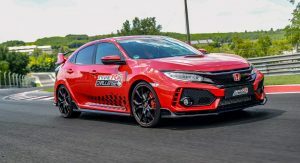 The British driver lapped the technical 4.38-km (2.72-mile) Hungaroring GP circuit in 2 minutes and 10.19 seconds, breaking the previous front-wheel drive record set by the fourth-generation Honda Civic Type R in 2016 during a similar challenge. As with previous record attempts, Honda used a standard production car with road tires. Button has great memories from Hungaroring, where he won his first Grand Prix with Honda in 2006. 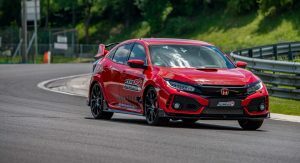 So how did the Brit find the road-going Honda Civic Type R around the twisty and narrow track that features 180-degree corners and a complex chicane? Well, he was pleasantly surprised by how neutral and well-balanced the Type R felt. 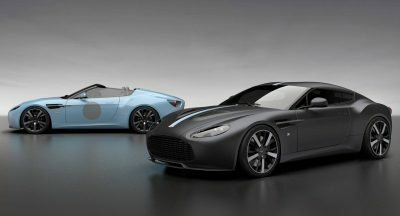 “The thing that surprised me most is how late you can brake with this car. The manual gearbox works really well, too. Most cars these days don’t come with manual boxes, so it’s nice to have that manual feel. 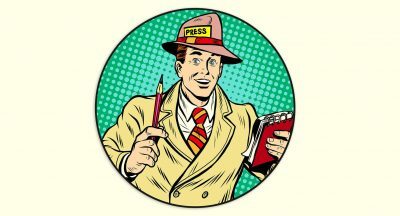 You always feel a lot more connected to the car,” Button said. 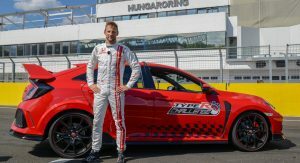 Button’s lap marks the fifth front-wheel drive lap record set by the latest Civic Type R at iconic racetracks across Europe this year, and the sixth overall if the 2017 Nürburgring Nordschleife 7m43.8s lap is taken into account. This year, the Japanese hot hatch set benchmark times at Estoril (2m01.84s), Silverstone (2m31.32s), Spa-Francorchamps (2m53.72s) and Magny-Cours (2m1.51s). Each record was set by a different driver: Tiago Monteiro in Portugal, Matt Neal in the UK, Bertrand Baguette in Belgium, and Esteban Guerrieri in France. 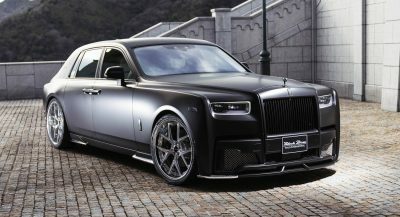 Aesthetically speaking this is one of the ugliest car in the world. And then who wants to be seen in that car? If only it is fast enough to be invisible to the eyes. You mean “Benson Jutton”, don’t you? 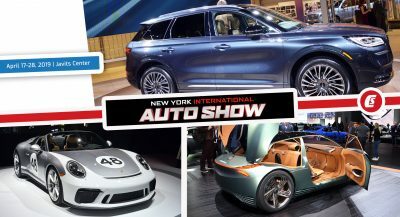 In addition to be one of the oddest looking vehicles, dealers won’t even let you test drive one without committing to purchase. Get off your high horse Honda, it’s still just a Civic, not a super car. 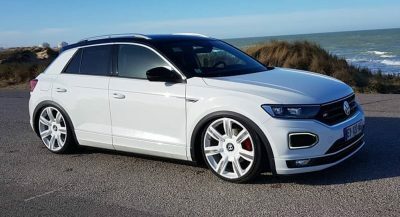 Next PostNext Jaguar I-Pace Drag Races Audi RS3 Sedan – Place Your Bets!